Welcome and thank you for visiting our listing! Please read through our ad and make sure to take a peek at our various tabs where you find will lots of info about our beautiful Hawaiian home. :) Kahana Outrigger is located on the beautiful west shore of Maui in Kahana, just north of Kaanapali and Royal Lahaina. There are sunny beaches and tropical scenery available to you at this fabulous location. The grounds are beautifully landscaped and maintained with lush tropical vegetation for your enjoyment. We even have a mango tree that produces delicious fruit. With only 16 units, it's very private and quiet. Both the beach and pool area are only steps away. Enjoy boogie boarding, swimming, paddle boarding, surfing and romantic sunset walks. Dining, and shopping are within walking distance as well as short driving distance. This large 3 bedroom 1,500 sq.ft. townhouse is very clean and welcoming. Our townhouse is fully equipped and offers many amenities. Private lanai with views of the ocean, the islands of Lanai and Molokai, sunsets and rainbows. Although we're long time California residents, we consider Hawaii our second home. We took many wonderful family vacations to the Big Island as well as Maui. Now that I'm grown up, I manage this property on behalf of my family. I also own a pet care business in Los Angeles, CA and my father and brother own and run a prosthetic and orthotics business also located in the Southern California area. Kahana Outrigger is right on the ocean with a beautiful view from every unit. Our unit is quiet and private which is what we look for when vacationing. 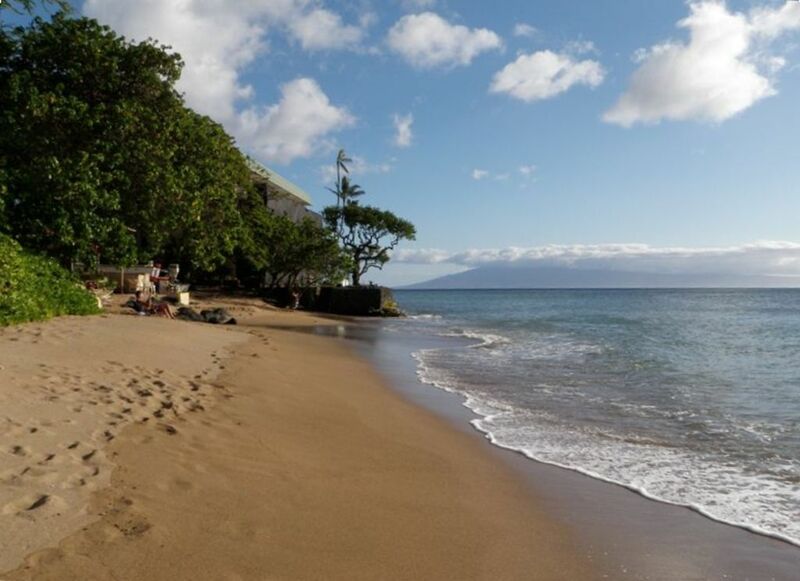 This property is perfect, as it's only a short drive to Kapalua, Lahaina, and Kaanapali. Most other areas on the island can be reached within an hour. This property is wonderful. Beautiful weather and water, serene and quiet with a gorgeous view of Molokai out in the distance. Lahaina, Kapalua and Kaanapali are all close by. Bedrooms are large and comfortable and the kitchen is big for those of us who like to cook and spread out while doing so! Each bathroom is equipped with toilet and shower. The master bath also has a large bathtub, as well as shower. Bath towels and one set of beach towels per bed provided. Please give fridge a minimum of 24 hrs to cool if you adjust the temperature of really load it up. Please let us know if you have any problems. We replace appliances asap if they are not up to guest standards. Some basic spices, plus olive oil--these change over time. We have a kitchen equipped with all major appliances including fridge, dishwasher, microwave, toaster, coffee maker, range & oven, miniature food processor. Basic analog cable, no cable box. Smart TV equipped with Netflix if you have an account. Exactly as portrayed in the photos. The home was very clean, it had a beautiful view of the ocean. The pool was fun, the kids enjoyed that on many occasions. Our only concern was the ground keeping activities, almost every morning for a bit we endured quite a bit of noise as we sat on the deck. We could not of asked for better accommodations. We would definitely rent this home again. We had a great experience staying here with our extended family which included two young kids. The layout was perfect in that our kids could stay in our room on the pullout couch and there was enough room for everyone else. The place was clean and pretty up to date. The beach, although small was perfect and we even had a daily turtle visitor a little bit down the beach. Overall great expeipernce and I would definitely stay again! Well stocked, beautiful views unit in a quiet complex. This is our 5th stay at Kahana Outrigger and our 2nd time in this unit. Beautiful pool and ocean view in a quiet environment. Lots of beach equipment that we used regularly. Literally about 50 steps from the beach. Minutes away from shopping and dining. We’ll be back. Relaxing and Peaceful Place right on the seafront. It’s an old nice homely styled property, although the Bath was very dirty. Maybe from Scotland. We had a good and relaxing time anyway. Thanks very much. This place was perfect for our party of 10. The pool and ocean were just perfect. I'd definitely stay here again! If you decide to leave the westside of Maui, you can also explore the volcano, organic farms, botanical gardens, Maui's winery, waterfalls and more! Standard Cancellation Policy is 60 days prior to check-in, less $100 fee for cancellations made at any time. Cancellations made less than 60 days prior to check-in will be responsible for total rental, plus taxes and fees, unless we are able to re-rent or you are able to have another party take responsibility for your reservation. Holiday Cancellations are 90 days with the all of the above applicable.